For information contact info@ltvca.ca or call 519-264-1500. 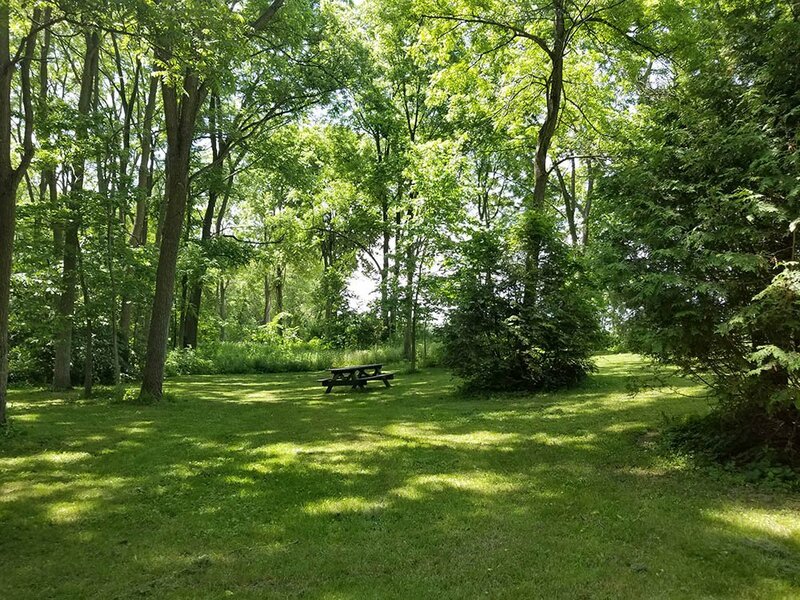 This 16 hectare property was acquired by the Lower Thames Conservation Authority in 1964. 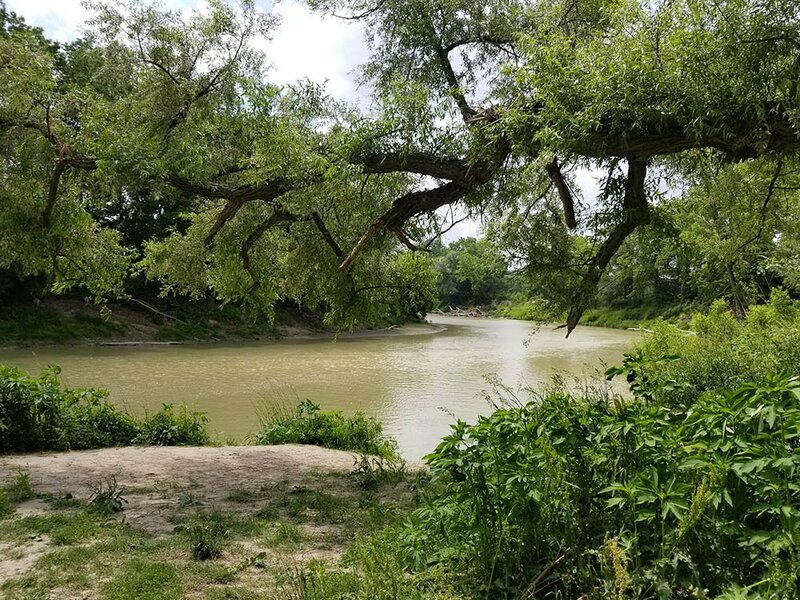 Immediately north of the conservation area, a 20 hectare field also owned by the LTVCA, is leased out on an annual basis as agricultural land. Check out this video clip of Big Bend Conservation Area. The address for Big Bend Conservation Area is 21239 Big Bend Road. It is located on the Thames River, just east of the Village of Wardsville, in the Municipality of Southwest Middlesex. Follow Middlesex County Road 2 east from Wardsville, and take Big Bend Road 3 km south. An archaeological site located here was shared by hunting and gathering Native people over 3,000 years ago. 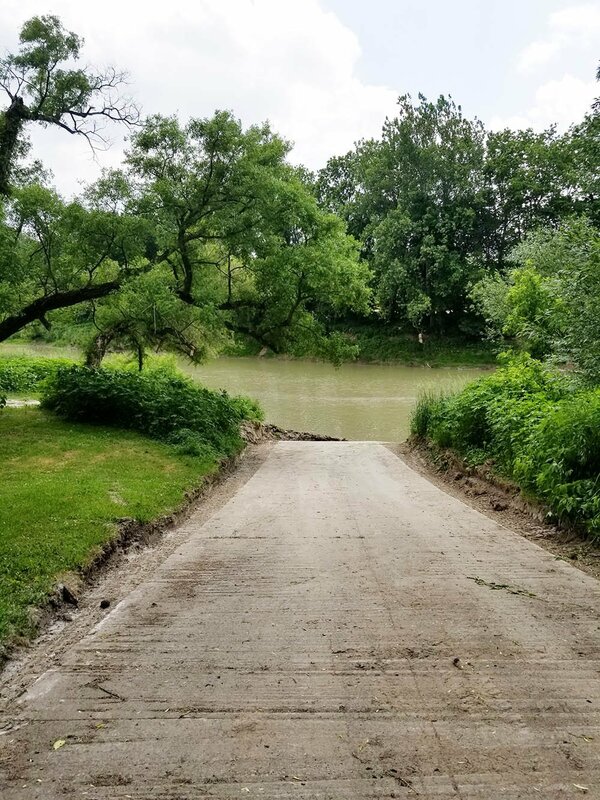 Also located here are a boat launch (access closed December to spring) to the Thames River which is a Canadian Heritage River, Memorial Forest, picnic shelter with tables and open space for sports and games. Areas for hiking, and fishing for yellow perch and pickerel. Group and family camping. Campground open Victoria Day to Thanksgiving. No reservations are necessary, but fees are collected on a regular basis. For camping fees click here. There are approximately 26 sites – 6 with hydro and water and 4 with hydro, and the rest are unserviced. Campsites and a serviced washroom building with showers are open Victoria Day Weekend in May to mid-October. There is NO dumping station. The park is open for dayuse from 8 a.m. to sunset year-round. Yellow perch and pickerel are found in the Thames River. Big Bend is an effective use of floodplain lands along the Thames River. Carolinian Life Zone tree species are found here along one of the largest meanders of the Thames River. 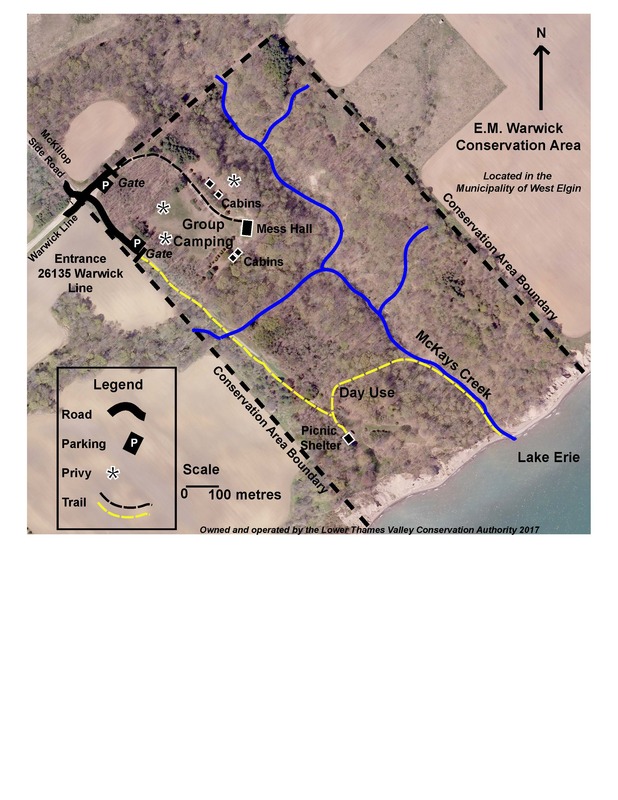 The Lower Thames Valley Conservation Authority acquired this 30 hectare property in 1967. The park was named after a former Chair of the Board of Directors, Clarence Michael Wilson. Check out our latest YouTube video clip of C.M. Wilson Conservation Area! Note: Camping, pre-booked education program and other program/facility rental fees different fee schedule. Canoes available ‘free’ for day users and campers! See details below for use. Bikes available ‘free’ for day users and campers! See details below for use. > Canoes and Bicycles can be used free of charge for campers and day use visitors. > Canoes & Bicycles available from 8:30am- 4:30pm Monday- Thursday. > You can only borrow a canoe or bicycle for a maximum of one hour. > You must provide your Day Use Permit number, Season Day Use Permit number, or Camping Permit receipt number. > All safety equipment will be provided for you. There is no registration for canoes or bicycles. It is first come first serve. > Ensure you have your Day Use Permit or Camping Permit receipt number ready. Camp at one of 100 sites, available with hydro, hydro and water, or unserviced. Two group camp sites are also available for larger groups. Sites are available for nightly, weekly, and monthly rates. There are also sites available for season-long camping, with availability to store trailer on seasonal site over winter. For camping fees click here. Washroom facilities are fully serviced with showers. 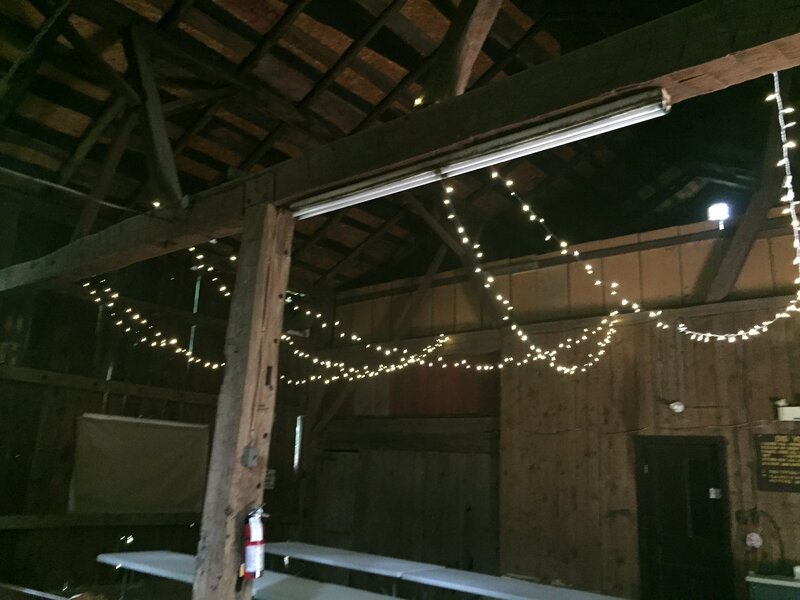 Picnic tables are available throughout the park and organized groups can book the pavilion, or hold special events year-round in our rustic barn (see photo above), from family gatherings, to weddings, to school functions. Enjoy the new children’s adventure playground, new outdoor class room, fishing, sailing, canoeing, and nature trails. Most facilities are wheelchair accessible. Soft drinks, snack foods, and assorted supplies are available for purchase at the gatehouse. 519 354-8184 C.M. Wilson Conservation Area Workshop. Day Use: Year-round from 8 a.m. to sunset daily. This is a Pay & Display park, machine for parking permit purchase is located at the gatehouse. McKinlay Woodlands Memorial Forest is located in the C.M. Wilson Conservation Area. Hundreds of trees are planted in memory of loved ones every year, supported by McKinlay Funeral Homes Ltd. 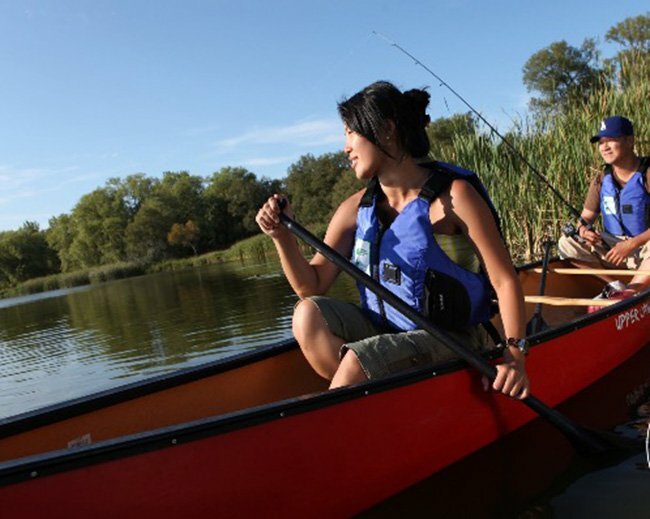 Enjoy canoeing, fishing, or the scenic view of the man-made lake, a small Carolinian forest, and natural wetland area. There are also nature trails throughout the park, showcasing nature and wildlife. CM Wilson Conservation Area is also home to the Chatham-Kent Children’s Safety Village.